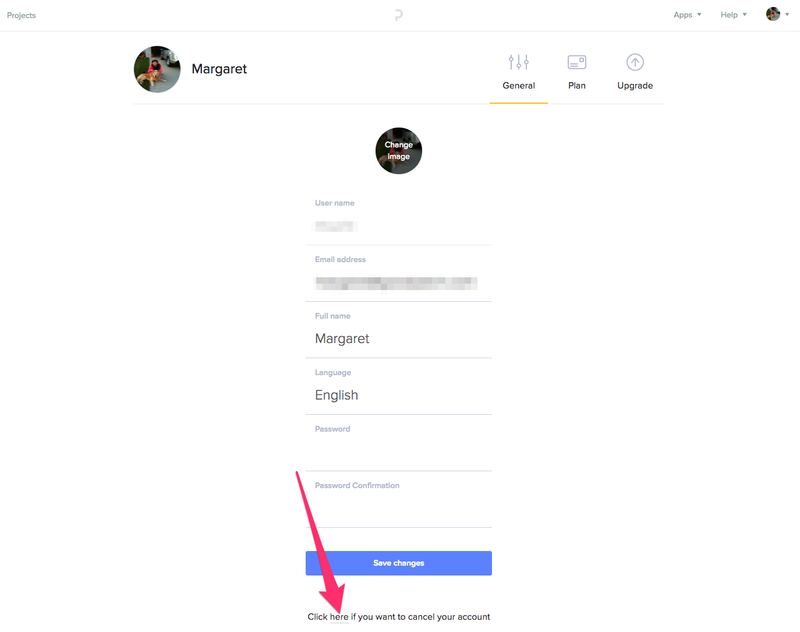 If you are experiencing any issues with your account, please contact us at support@prottapp.com or reach us on chat (click on the black comment bubble from the bottom left hand corner) and our Customer Success team will do our best to help you out. If you'd like to proceed with deleting your account, follow the steps below. Start off by logging into your Prott account. Head to the right hand corner of the screen and click on your profile image and click on the settings icon. 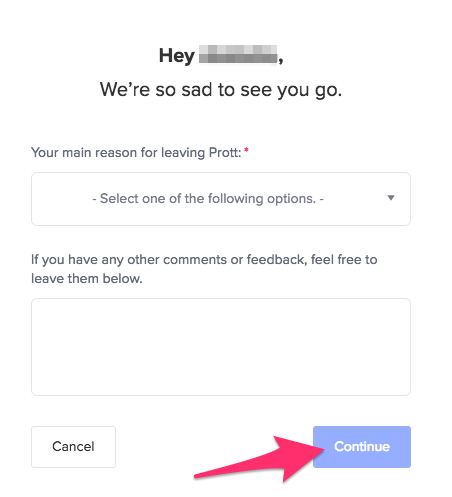 Where it says, 'Click here if you want to cancel your account. ', click, here. Fill out the short survey and press Continue. 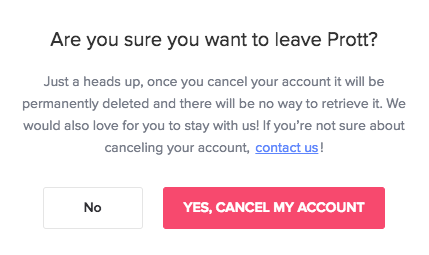 Finally, click YES, CANCEL MY ACCOUNT to delete your account. If you have projects that are on file in the active folder or in the archived folder, you'll first need to delete your projects before you can delete your account. Note: Please bear in mind that once you delete your project, it will be deleted forever. To delete a project, hover your cursor over the left side of your project icon and click on the settings tab. Click where it says Delete. 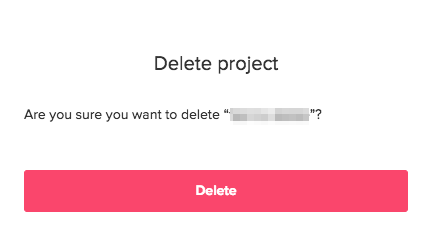 Click the Delete button to delete the project. Make sure to check your archived folder for any archived projects. To delete the projects, simply follow steps 1 through 3 shown above. Once you've deleted all of your projects from both the active and archived folder, follow steps 2 to 5 from If You Have No Projects on File (from above). Once complete, your Prott account will have been deleted.